Yellowstone National Park needs to increase awareness and the public’s knowledge concerning the black bears. There are too many people coming into the park with little to no experience being around wild animals, thus people are uninformed regarding policies and proper etiquette. 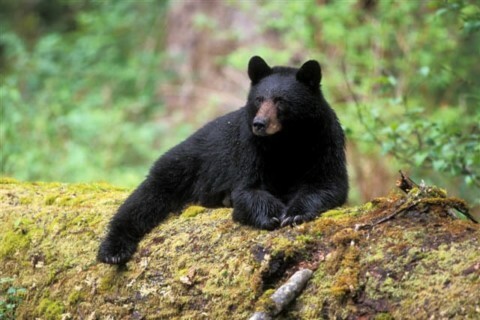 Research recorded in 2004 by the National Park Service showed that 600 black bear jams occurred that year. Using visitor data and past bear jam numbers from the National Park Service, we estimate that there will be around 800 to 1000 bear jams in 2018. Thus uninformed visitors are a danger to themselves and the wildlife. The bear jams themselves are not the issue; it is the way the people act once they get close to the bears. Some visitors come into the park with a preconceived notion that the animals are trained, and they can’t possibly be attacked in the park. A recent review given to the front desk of a Xanterra Park & Resort Hotel in Yellowstone by a visitor in the park stated, “Our visit was wonderful but we never saw any bears. Please train your bears to be where guests can see them. This was an expensive trip to not get to see bears.” This is a prime example of the expectations visitors have when entering the park that come from deep misunderstandings about the purpose of the park. More information would not only benefit those uninformed people entering the park, but also the park itself. On the National Park Service website, it states that “Little is known about the black bear population in Yellowstone or whether it has been affected by the increase in grizzly bear numbers and distribution since the 1970s.” According to the site, Yellowstone is the only habitat below the Canadian border to hold both black and grizzly bears. This could mean that there are issues between the bear species that the park does not know about. Some may argue that the increased awareness for which we argue would take away from the overall experience of coming to the park. Increased signage will make the “out in nature” feeling become more restricted. However, there is adequate signage in the park already that is out of the way. Around the geysers in the park, there are warning signs concerning the dangers and these signs are unintrusive so as to not ruin the experience. If signs such as these are placed in the areas where bears are frequently seen, the awareness would be more complete. In order to increase awareness in the park, there needs to be an increase in park funding. The federal government gives $3 billion to be split up between 417 national park sites. That gives an average of $7,194,244.60 per park. This is not enough money for the park to accomplish all of the necessary projects, according to Yellowstone Park Ranger Jon Nicholson. If the park raised the admission to $40 for a noncommercial vehicle, they would bring in approximately $64,877,680 if the park had the same amount of tourists as last summer (4.25 million). This is $10 more per vehicle than the current price that was set in 2015 by the National Park Service. This gives the park a $16,000,000 increase, with 80% (about $13,000,000) going directly to the park. The past few years have seen record breaking admission numbers. The park needs more funding to assist with this influx of visitors. We believe that if Yellowstone was to increase their admission prices, the National Park Service could really increase awareness and have more funding to run the park. NPS could research multiple animals in the park along with repairing boardwalks and guard stations. We feel this should be considered and put into effect for the well-being of the park, its visitors, and the animals. Black Bears in Yellowstone National Park by Kolton is licensed under a Creative Commons Attribution-ShareAlike 4.0 International License.